Paddy Power are renowned for their sportsbook and their marketing and advertising campaigns, but their free bet offer when you sign up and join the website is worth it alone. Available to players residing in both the UK and Ireland, Paddy Power offer new players a risk-free first bet when they sign up. All online sports betting sites want to entice new players and those signing up by laying on some fantastic welcome offers. It’s also an excellent way of introducing betting and wagering money to those who may never have visited an online sportsbook before. The free bets employed by some of the bookmakers allows for new users to learn about the various markets and how a betslip works and what it looks like. To take part in this free bet offer, new players must first set up a Paddy Power account and enter the promo code YSKA00. Once they’ve done this, players must make a minimum deposit of £10 and then place a bet up to a maximum of the same amount. If the bet loses, then Paddy Power will refund your bet in cash, meaning that you cannot lose when it comes to making your first bet here. You can use your risk-free bet on whatever sport you like, whether it’s football and the Premier League, golf or even horse racing. 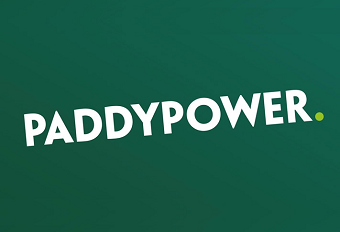 The welcome offer isn’t the only thing that new customers can take advantage of at Paddy Power, as there are plenty of others to have a look at and enjoy the benefits from under the Promotions page. For those who enjoy a flutter on the football, especially those who love placing accumulators, then there’s an Acca Insurance promotion to help save you from losing money if one of your selections lets you down. Paddy gives you your stake back as a free bet if this happens. If you download the mobile app to your smartphone or android device, then you can also find some fantastic offers that are sent out by push notification prior to most major events. Free bets, money back specials and other bonuses are all up for grabs on selected football matches and horse races. Download the app to make sure that you don’t miss out on these. It is also easy to navigate and has a very quick response time. It works in exactly the same way as the actual website, but you can now bet whilst on the move. There’s nothing more thrilling than betting in-play and Paddy Power’s live betting options are unrivalled. There are in-play markets for almost everything and it’s really easy to follow. Punters can now place bets in the middle of a match, game or race, with the odds constantly changing depending on the action that’s taking place in front of their eyes. It’s easy to see when the odds are being changed on Paddy Power too, as the prices lock themselves with an image of a padlock and after a few seconds, they turn red or blue, depending on which way they’ve changed. This is completely different from the times when you could only bet pre-match and if you missed the start of the event, then you missed out on betting on it altogether. The same applies when it comes to cashing out. For certain markets and bet types, and if you’ve placed a bet pre-match and not in-play, then you can cash out and take home a portion of your winnings. This is an excellent way of not only winning, but also minimising your losses in the event of you placing a bet and then being unsure as to whether it’ll come in at the end. You can find the cash out option on your betslip and next to it, there’ll be a cash value telling you how much you can win. Be careful though, as the value can change very quickly. Regardless of which online bookmaker you’re betting with, there are always terms and conditions when it comes to gambling or when promotions and bonus offers are involved. It’s the same for free bets too! The time it takes for the bet to be settled varies, depending on what you’ve wagered on, and it takes slightly longer when it comes to Paddy Power promotions. However, don’t let that deter you, as the rewards are very worthwhile. Make sure that before taking part in a promotion you’ve noted the closing time for participation, as there’s nothing worse than seeing a promotion, then forgetting to place your bet in time. To be eligible for Paddy Power’s free bet offer, you must first be a new customer, then enter the promotion code YSKA00 and make a deposit of at least £10. You can then place a bet up to £10 and if it loses, then your stake will be refunded in cash. It really is a risk-free bet when you place your first one at Paddy Power.